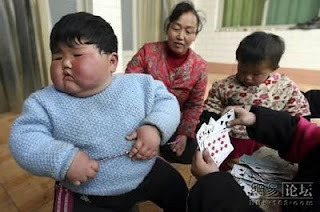 This Chinese little girls was only 2 years old, but her weighing is as much as an adult!!. how come this little girls gain so much weight on her age?? the name of this little girls was pang ya. just look at her picture in the left. 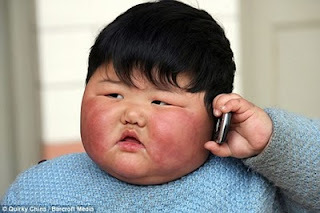 do you believe if she is just 2 years old?? 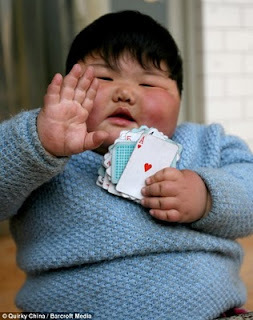 before this we also got another giant kid from india that also known as one of the fattest children in India. so how about Pang Ya?? 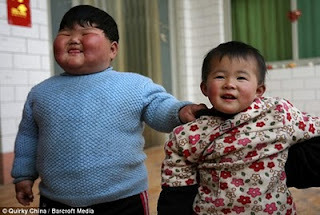 could this cute little girls break the Guinness world of records for the fattest children in the world? 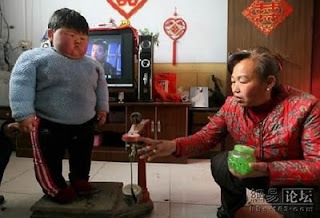 Born at a normal weight, little Pang Ya now tips the scales at 41.5 kilograms, which is about as much as an adult Chinese woman. Pang Ya weighed around 4 kilograms, when she was born, but reached 20 pounds in just 8 months, and ever since then she kept piling on the pounds. Now her worried parents are seeking medical help. They admit the toddler has a very healthy appetite, but claim doctors have no idea what is wrong with their daughter.